TISA Description of the Problem: How to address a client in the first interview is sometimes hotly debated. I suppose there is no single correct answer, but I have found the following principles to be of practical value over the years. I, personally, feel that one should not assume a first name basis without asking first. Some clients may find a first name threatening or a “put down,” especially if the client is a young adult or much older than the clinician. Consequently, when first greeting a client I always use his or her last name. On the other hand, the ability to use the client?s first name can be a powerful asset in engagement. When used sparingly and with good timing, it can effectively help clients to share difficult material. In a cultural sense, first names are generally used by people who care about us and are privy to our private thoughts. 2. It gives the client direct control over an important ego issue. (Some clients do not like to be called by last names and others do not like to be called by first names). 3. One may learn a significant amount concerning the dynamics of the client as revealed by the client?s preference. TISA Follow-up: There are some exceptions to the above guidelines. If the clinician knows beforehand that the client has a history of paranoia, it may be advisable to use his or her last name throughout the interview, because such interpersonal “distance” may be more comfortable for the paranoid client. Clients who are much older than the interviewer may prefer to be addressed by the last name. In the opposite direction, children and adolescents generally should be addressed on a first name basis from the start. In these cases, though, it is often useful to ask the child which variant of his or her first name to use. For instance, the family may call the child “Johnny,” yet the child would prefer being called “John.” Such a simple show of respect can go a long way towards ensuring a powerful engagement. 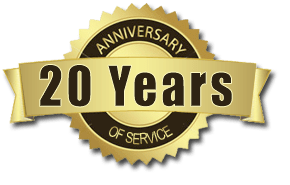 I should add that with regard to addressing the client, I have yet to find any problem arising in either the initial interview or subsequent therapy using the above approach. In the end, the reader must decide, from your own experience, what feels most comfortable for you and your clients. 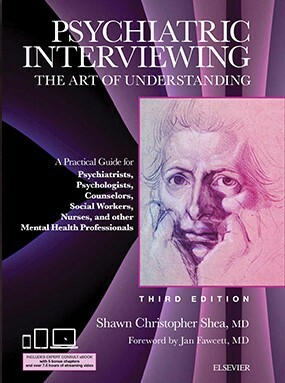 The above interviewing tip is adapted from Psychiatric Interviewing: the Art of Understanding, 2nd Edition (1998) published by W.B. Saunders and written by Shawn Christopher Shea, Chapter 2 (pages 62-63).